Mooo's News: Happy Birthday, M! We'll post more after the big party tomorrow. 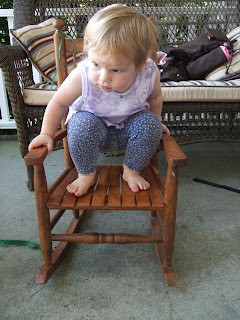 Meanwhile, here's Margot attempting a daring dismount from her new rocking chair.